Have you ever felt the shamanic calling? If you are, how are you dealing with it so far? In this modern age, people who are called to be a shaman are struggling to find guidance. It’s because most people nowadays are trained to use their reason instead of their inner guidance. For those who are going through the process of initiation, one can easily be discouraged to not go through with the process, but it does not have to be that way. There are now modern shamanic practitioners who can help you with your journey. And more importantly, they now come from diverse backgrounds. You read that right, shamanism is practiced in different cultures. Did you know that there are legitimate western practitioners today? Shamanism existed since the ages. This is said to be the earliest form of religion. As mentioned earlier, this is present in varied cultures. Some say that this is a form of healing. Other sources on the other hand say that this is a practice where one could reach different altered states of consciousness that allows a person to communicate with the spirit world. Shamans are described as intermediaries between the human world and the spirit world. They heal sick people by helping them mend their souls. But healing the sick is not the only sole characteristic of shamanism. Shamanism is also characterized by connection with nature. Many shamanic practices make use of the power of Mother Nature. Aside from healing individuals, shamanism is also used to heal the community which can include people, animals, and plants. It’s also concerned about honoring spiritual places where it is common for shamans to connect with natural wonders like lakes, caves, and mountains. Ceremonies are also common in shamanism which are done to honor spirits of nature, said to help promote balance. It is believed that as long as ceremonies are being held, the world will continue to exist. This can help those who are feeling stressed out. Shamanism may guide people in a number of ways. Activities like meditation, grounding, and communicating with nature and spirit could help lower stress levels. A shaman can help manifest people’s goals or help them conquer challenges. Additionally, they could help remove obstacles that may be getting in the way of manifesting your dreams. Shamanism is also used to help heal the sick. If you have pains or aches, a shaman can help you recover faster through energetic and spiritual practices. For people who have a missing piece of their souls, a shaman could help bring back the pieces together. Shamans can help you discover your totem animal. Did you know that totem animals are all around us and they could provide support to us if we need their help? If you are seeing any ghosts, shamans can help you deal with spirits that are stuck in the crossover. If you need clearing of any sort like in your home or business, shamans may be able to help. You have this deep sense of connection with nature. You welcome solitude but find it hard to fit in with others. You at one time had a near-death experience, temporary illness, or shocking experience. You can read other people. 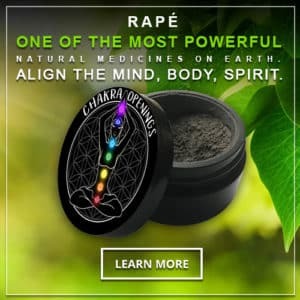 You’ve felt healing energy in your hands. You have ancestors who were herbalists or healers. You experience vivid prophetic dreams. You see things that other humans can’t see. You have strong feelings about healing or easing the suffering of others. If you are reading this blog post, then it’s a sign that you have been guided to learn about shamanism and this is what Modern Soul Science 101 is all about. This is for people who are going through the initiation process or simply for those who want to know more about shamanism. Modern Soul Science is a free live training that will give useful insights on the subject of shamanism. This is hosted by Andrew Camargo, an expert in Archetypal Shamanism, Entheogenic Spirituality, Alchemy, Jungian Psychology, Modern Mythology, and Visionary Art. Modern Soul Science 101 promises to deliver ancient wisdom. This was designed with that vision to give the modern seeker a key to unlock the primeval “shamanistic” wisdom of western ancestral lineage. Those who are signed to the course will learn the signs of a contemporary shamanic call, the most common mistakes and dangers of the initiatory path as it relates to their own tradition, and the solution to help overcome the common pitfalls. The Modern Soul Science 101 will give you the key to unlock several important aspects to shamanism such the sacred science of awakening and transmuting to your higher bodies, guidance and healing from the higher self, and more. This will benefit those who are seeking spiritual growth and self-knowledge, people who are going through the initiatory process, or those who want to know more about shamanism in the new light. Not sure if you were called to be a shaman? This course may be able to help you decide if you are or not.